We selected the ‘Benchmark’ name to signify to customers that they can expect a standard of excellence when dealing with our independent insurance agency. Each and every interaction we have with you is measured against our expectation that you deserve the best service we can provide. This principle has sustained us since we first started offering insurance in San Marcos nearly 30 years ago. 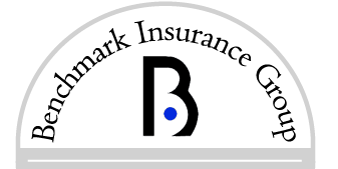 The mission of Benchmark Insurance Group is to provide financial security, protection and assurance to our clients with the highest level of professionalism and integrity. Business Insurance: Whether you operate a commercial business or Texas non-profit organization, we can help you find coverage that meets your budget. We offer everything from risk management and liability protection to commercial auto and manufacturers insurance. We work with businesses as small as one employee to companies with thousands of employees. Personal Insurance: Individuals and families rely on Benchmark Insurance Group for home and auto insurance. In San Marcos and surrounding communities, family recreation is important, and so is personal safety. That is why loyal customers look to us for motor home and boat insurance. We also offer jewelry insurance and umbrella liability coverage. International Insurance: More Texas businesses are taking their products and services around the globe. Use our experience with international business insurance to your advantage and be confident your risks are covered at home and around the world. Our account executives have the solutions you are looking for. We have been helping families and businesses since 1984. Our clients include Central Texas communities including San Marcos, Kyle, New Braunfels, Wimberley, Buda, Lockhart, Seguin and others along the I-35 corridor. Contact us for a free insurance consultation and a no-obligation quote today.